Are you tired of the demanding upkeep and high monthly utility bills? Artificial turf in Manteca is the answer to your lawn woes! As your premier synthetic grass installer in the Central Valley, we at Manteca Artificial Grass can transform your residential landscape into lush green lawn! At Manteca Artificial Grass, we believe that adding a touch of nature to your home can increase its overall aesthetics and value. While natural grass is the most common option, the amount of maintenance needed for its upkeep can be taxing. 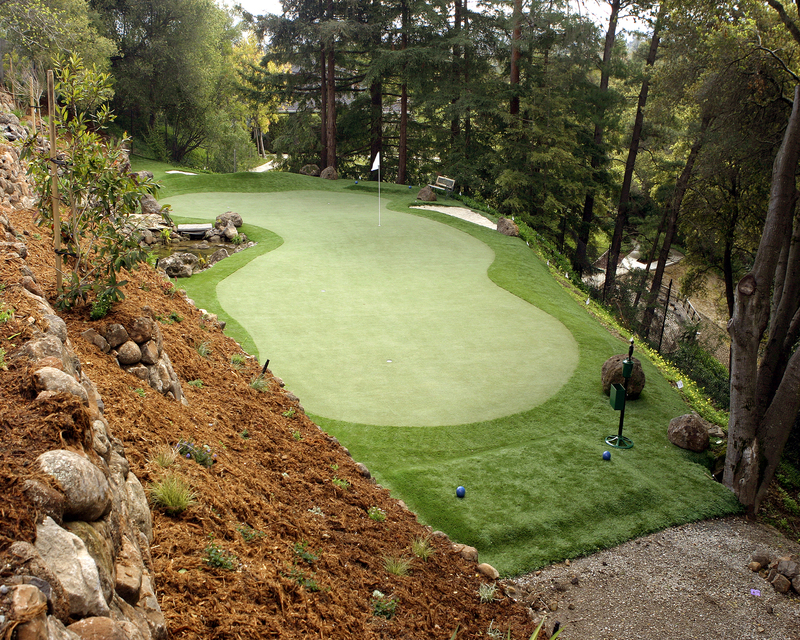 With artificial turf in Manteca, you’ll never have to deal with it ever again! Natural turf requires water and regular mowing to maintain its lush green appearance. These tasks can be time-consuming. With artificial turf, you won’t have to worry about maintenance for a long time! All you need is to brush it every few months to keep the fibers standing upright and hose it down to keep it in top shape. Artificial turf comes equipped with proper drainage systems, which eliminate the need to water it regularly. A homeowner with an 800-square-foot lawn can save hundreds of thousands of gallons over the lifetime of the synthetic turf! Synthetic grass installation provides unmatched convenience and safety not just for humans and animals, but the environment as well! Without the need for pesticides, fertilizers, and other harmful chemicals, everyone can enjoy a safe space to sit and lay on a good day. One of the best things about artificial turf is it provides your children and pets a safe place to play on. With a dirt-free area, you won’t have to worry about your children getting mud and grass stains every play time! Artificial grass for dogs in Manteca is also a great investment. It does not only provide a safe pet scape, but it’s also easy to clean in case your furry best friends leave a mess. Synthetic grass is entirely free of toxins and allergens, which makes it safe for everyone and every place! Do you have projects you’d like to discuss with us? Feel free to contact us at Manteca Artificial Grass! We’d love to help you construct the perfect outdoor space and install high-quality artificial turf for your Manteca home! Call us at 209-447-0829 or fill out our contact form to get a free quote from us for any projects you have planned!